Large and welcoming rooms with large double beds complete with private bathrooms with a shower or a bathtub. 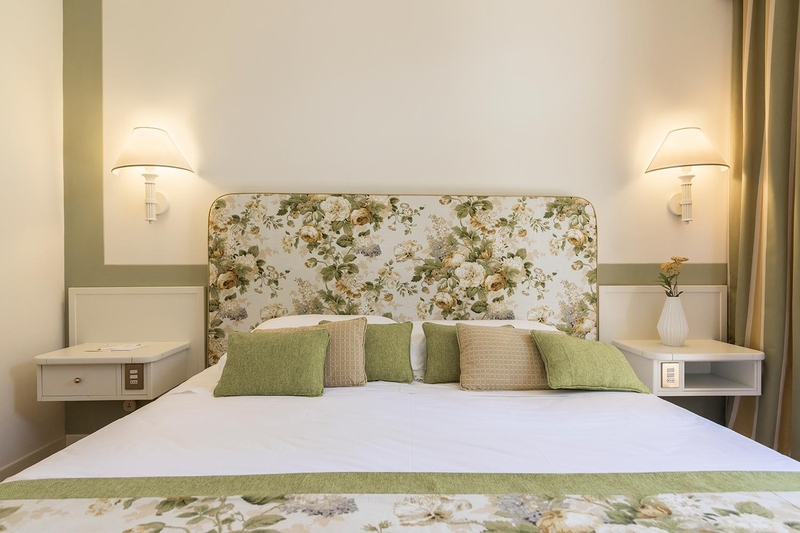 The same room is available with a balcony with panoramic view over the tuscan countryside. 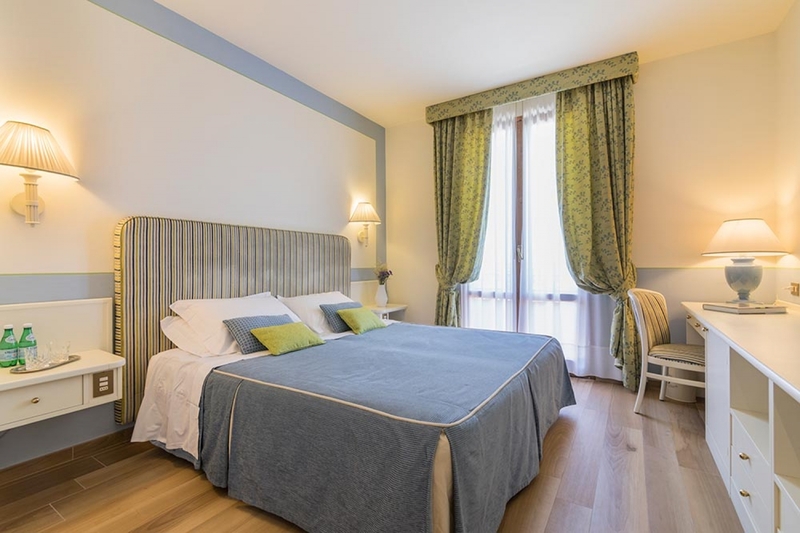 The room equipped with two single beds is also available but only upon prior request. 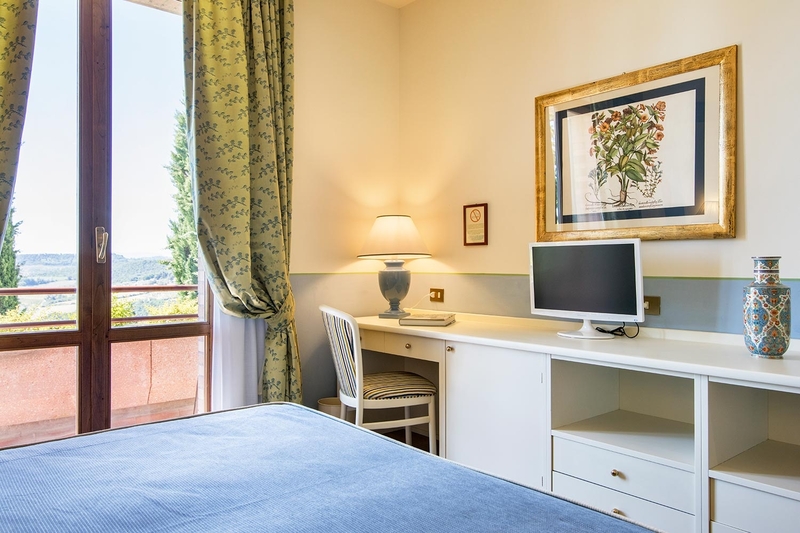 Room equipped with every comfort, furnished with a classic and elegant taste, representing the ideal solution for a couple’s holiday in San Gimignano.